Here is a Blackest Night reading issue order suggestion. I compiled this by reconciling three different reading orders from blog posts and forum posts. The explanations of the orderings come from a forum post. If I find the original sources, I will post them. In Italics: Titles from Blackest Night: Rise of the Black Lanterns. These titles are where canceled series such as Catwoman and Suicide Squad were “resurrected” for one last issue. Green Lantern Corps #39 -[ Kyle & Guy mention attending Tribute Day from BN #1, but also features the events leading to their report toward the end of BN #1. Issue happens side-by-side with BN #1. Starman #81 -[ Doesn’t appear to matter where to put it, but it seems pre-Nekron rise and very early by the behavior of the security guards. The Power of Shazam #48 -[ Appears to take place early on in the Blackest Night. Exact place not able to ascertain. The Question #37 -[ Put before BN #3 because when Jason touches Ronnie in BN #3, he sees Vic Sage’s grave empty already. Adventure Comics #4 -[ Events happen simultaneous to Alex Luthor rising in BN #3. Adventure Comics #5 -[ The previous issue’s story is wrapped up very shortly afterward. Justice League of America #38 -[ Dr. Light I is seen as a Black Lantern. This happened at the end of BN #3. Blackest Night: Titans #3 -[ No power levels but just seems to fit here. Blackest Night: Batman #3 -[ No power levels but just seems to fit here. The Phantom Stranger #42 -[ Takes place not long after the Spectre Rising in BN #2. Has to take place after BN: Batman #3 as well, factoring in Deadman’s involvement. Catwoman #83 -[ The blackout in Gotham is mentioned. Seems to be pre-Nekron rise as well. Blackest Night: Superman #2 -[ No power levels but Psycho Pirate is there so it’s after BN #3. Outsiders #23 -[ Black Lantern Terra appears at the end of it. Given the next issue is post-BN: Titans #3, it makes sense here. Outsiders #24 -[ The events of BN: Titans #3 are recalled but it seems to be pre-Nekron rise. Outsiders #25 -[ The rest of the fight from the previous issue. Teen Titans #77 -[ Most signs point to it being post BN: Titans #3 but pre-Nekron rise. Teen Titans #78 -[ Concludes previous issue’s events right afterward. Weird Western Tales #71 -[ Doesn’t appear to matter where to put it, but it seems pre-Nekron rise. Solomon Grundy #7 -[ Solomon Grundy is resurrected with a Black Ring. Though is a BN: Prelude, it makes sense to put after BN: Batman as Etrigan has been involved in S/B #66 & S/B #67 which seem to form one story arc. Superman/Batman #66 -[ Blackout may be a BN: Batman reference, plus this is definitely a post Outsiders #23 Man-Bat appearance. Superman/Batman #67 -[ Picks up right where #66 left off. Green Lantern #47 -[ No Power Levels but just seems to fit here. Blackest Night #4 –[ 100%. Nekron Rises. Blackest Night: Flash #1 -[ The ending of the issue coincides with the closing events of BN #4. Secret Six #17 -[ Continuing from Suicide Squad #67, but we see mention of Barry’s message from BN #4 at the end. Secret Six #18 -[ Picks up immediately from SS #17. Doom Patrol #4 -[ We see Barry’s message from BN #4. Doom Patrol #5 -[ The previous issue’s story is wrapped up very shortly afterward. Booster Gold #26 -[ We see Rip Hunter talking about Barry’s message from BN #4. Booster Gold #27 -[ The previous issue’s story is wrapped up very shortly afterward. Justice League Of America 39 -[ This tie-in does link to the main story: Dr. Light is seen rising at the end of BN3, plus the Hall Of Justice is the setting for the battles in BN3 and BN4. I put this issue at no.23 because the Hall Of Justice is only now empty. Dr. Light and company rose in BN3, but there is STILL fighting in the Hall during BN4 – it must therefore go after BN4. Justice League Of America 40 -[ no deaths here, as Plastic Man has a stretchy heart and recovers anyway, and Reddy’s Reddy. I can’t find any reference to the story (a common feature of these tie-ins, if you ask me) but I’ve included the first part, so here’s the resolution. R.E.B.E.L.S. #10 -[ We see Vril Dox mentioning receiving Barry’s message from BN #4. R.E.B.E.L.S. #11 -[ The previous issue’s story is wrapped up very shortly afterward. Blackest Night: JSA #1 -[ Appears to be shortly after Damage’s death in BN #4. Blackest Night: JSA #2 -[ Takes place shortly thereafter. No reason to displace. Blackest Night: JSA #3 -[ Picks up immediately after #2. Blackest Night: Wonder Woman #1 -[ Leads directly into the events of BN #5. Green Lantern #48 -[ Leads directly into the events of BN #5. Green Lantern Corps #43 -[ Doesn’t appear to matter whether it is pre-“Die!” or post-“Die!” at the moment. Green Lantern #49 -[ John Stewart brings Xanshi to Earth… which we see followed-up on in BN #6. Blackest Night #6 -[ Temporary new Lanterns are selected for each Corps. Blackest Night: Wonder Woman #2 -[ Simultaneous to BN #6’s conclusion. Blackest Night: Wonder Woman #3 -[ Takes place in-between pages at the end of BN #6. Blackest Night: Flash #2 -[ Picks up virtually immediately after BN #6. Green Arrow #30 -[ Seems to be immediately after BN #6 but before Adventure Comics #7. Green Lantern Corps #44 -[ No marker to indicate placement, but seems to be concurrent with BN #6/after. Blackest Night: Flash #3 -[ At the end everyone races toward the Spectre. Green Lantern #50 -[ Parallax Rebirth. The Spectre is fought. The Atom and Hawkman #46 -[ We see the other Corps’ fighting the Spectre as seen in GL #50. Adventure Comics #7 -[ BL Superboy is freed. Likely before GL #51 since BL Superboy is not seen on the ending splash. Green Lantern #51 -[ The Spectre is defeated and Parallax is taken away. Green Lantern Corps #45 -[ The GLC appears to transport to Earth at the end. Blackest Night #7 -[ Rise of the White Lantern. Green Lantern Corps #46 -[ Clearly post-BN #7 with the Anti-Monitor getting free. Green Lantern #52 -[ Leads directly into BN #8. Green Lantern Corps #47 -[ Blackest Night epilogue. 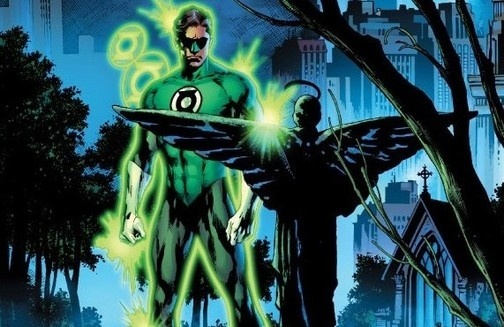 At the beginning of the summer I read through Blackest Night, Green Lantern: Blackest Night, and Green Lantern Corps: Blackest Night in issue order based on this list; that was a treat, and it really brought the story together for me. I got the paperbacks of Blackest Night: Black Lantern Corps (both volumes) and Blackest Night: Tales of the Corps when they were released this July, and now, having read them individually, I can’t wait to go back and read the whole event again (with other series’s tie-ins), but I’m going to wait until after I pick up Blackest Night: Rise of the Black Lanterns to do so. Thanks for sharing issue reading orders; it’s great for trades-only people like me so I can still get the thrill of reading a big event story in order. Where does the Agent Orange fit into this? claim that you search You Tube for any movie called. to valuable to contribute to the discussion. ;-) I actually do have 2 questions for you if you usually do not mind. Is it just me or do a few of the comments come across as if they are coming from brain dead individuals? whole community wikll be thankful to you. Thank you very much for this last as its been a few years since the series came out and it has really helped me to get a good order to read the books in but I’m also using it to purchase the series as well. Again, Thanks and if you do make a prelude list could you please post a link to it on this page. I could really use that too. things work with your state biboui you could try any local bank, or make a software on the internet in seconds.